Sorry it’s been a few months since I last posted or vlogged anything. A few things have changed since then. I tried my best at carb cycling and although I thought it was a great idea, it just didn’t fit my lifestyle, I found it confusing and very time consuming. A quick update, I started my YouTube channel to track my weight loss progress as well as this blog. My thoughts were to have my vlog post and my blog post to be identical, and simultaneously. But vlogging takes a lot of time and commitment and blogging is more accessible and easier. So I plan on blogging weekly and while I still want to vlog, it’ll possibly be on a monthly basis for now and once I get some more experience and better /quicker at vlogging, then I’ll post more. So what I’m saying is that this blog will be my first outlet on my weight loss progress. OK getting back to my weight loss journey update….. So as I continued my search to find something that with get me to my weight loss goal and be apart of my lifestyle. 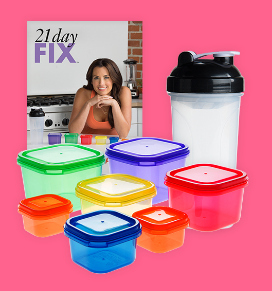 I came across a program called 21 Day Fix. For those who aren’t familiar to it, it’s portion control with colored containers. It also has workouts but I like to do my own weight training and cardio at my gym. Plus I bought my containers off amazon for a fraction of the price. I’ve done a week trial and so far it’s been going pretty good. I won’t lie the first few days were a bit daunting but then it just got easy. I also found a free app for my phone to track my containers. But here’s a quick peek on a few of my meals. Egg white Omelet with Spinach & Feta Cheese, chopped veggie salad, zucchini, tomato, purple onion, cucumber & no dressing. (It’s sorta like a fresh salsa or Pico de Gallo). Apple & grapes with 2 tsp pf natural unsweetened peanut butter. Shredded purple cabbage, shredded carrots, overnight oatmeal, frozen fruit for smoothies, quinoa tabouli salad. Chopped Kale & Brussels Sprout salad with dressing, ground beef on the side place & extra ground beef, pre-measured and put in baggies, a sliced orange for a snack.